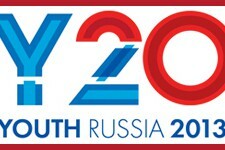 The Y7/Y8 and Y20 Summits, formerly known as the G8 & G20 Youth Summits, are international youth conferences held alongside the Group of Seven (G7) / Group of Eight (G8) and Group of Twenty (G20) inter-governmental meetings. The concept of Y7 & Y20 events has increasingly become an in-built part of the host country’s plans for G7 and G20 events and organised centrally. These are often held before, or in parallel, to the official Ministerial programme, alongside other side events such as business and civil society. The Youth events bring together young people to agree, adopt and present a Youth Communiqué. Since 2006, summits have taken place in London, St Petersburg, Berlin, Yokohama, Milan, Vancouver, Paris, Washington, Turkey, Tokyo and Beijing & Shanghai. No online channels nor centralised website could be found. National delegations are selected to participate in the event. Delegates assume roles (e.g., president, minister of finance, etc.) while representing their countries and employ the informal, consensus-based methods of negotiation adopted by the real G7 and G20 to produce a final communiqué. In 2016, there is no longer a unified structure for delegations and selection will vary between countries. However, a list of past national coordinating organisations is available here: http://www.whatistheidea.org. The next Y7 event will take place in Italy and the Y20 in Germany in 2017.